Illustrations: 26 b/w; 47 music exx. 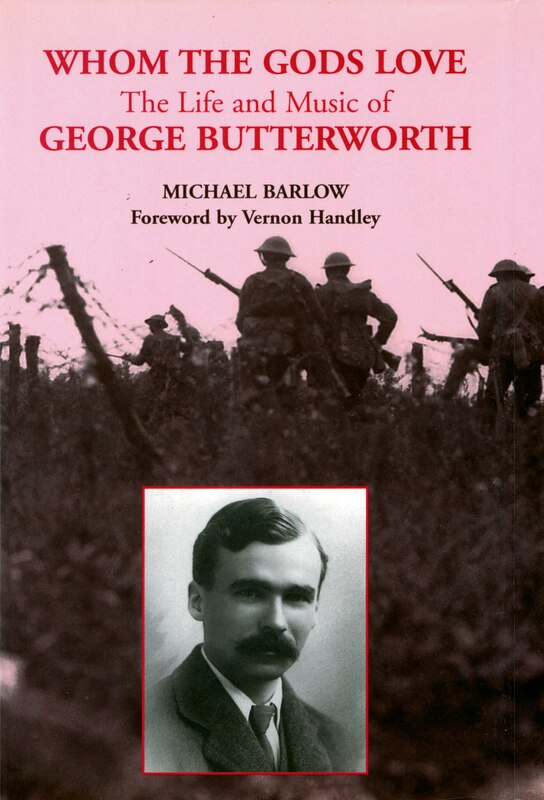 This is the first full-length study of the life and music of the composer George Butterworth (1885-1916), whose career was cut short by a sniper’s bullet at the Somme. He was perhaps the finest of the many outstanding musical talents whose lives were claimed by the First World War. The music Butterworth managed to compose during his short career showed an exceptional talent, and his name is kept alive by the popularity of his orchestral tone-poems, such as The Banks of Green Willow and A Shropshire Lad, and his songs. In this study Michael Barlow traces Butterworth’s brief life: from preparatory school through Eton and Oxford, a teaching post at Radley, study at the Royal College of Music, a period as a music critic for The Times, and his enlisting in August 1914 which, two years later, led to his heroic death at the Somme. All of Butterworth’s surviving compositions are discussed, and important chapters examine his Housman settings and his friendship with Vaughan Williams. Butterworth was also prominent in the folksong revival, and Michael Barlow chronicles for the first time his extensive activities as a folksong and -dance collector. The book includes some of Butterworth’s own writings on music.